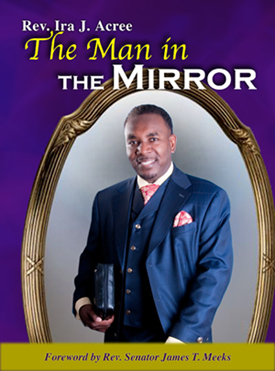 The Man in the Mirror is not your typical collection of mundane messages. These inspiring messages emanates out from the heart of Reverend Ira J. Acree, one of Chicago’s most dynamic preachers and visionary religious leaders. Reverend Acree masterfully incorporates the gospel message of faith and hope within a contemporary context that is relevant for today’s political and economic environment. His sermonic content is informative yet humorous while maintaining homiletic excellence. No matter what denomination, church affiliation, political or economic status, Reverend Acree’s thought provoking messages are guaranteed to ignite the transformation power necessary to change the world one Christian at a time.